Samsung has officially upped the ante in the Android universe, announcing not one, but four brand new phones set to premier at Mobile World Congress next month. 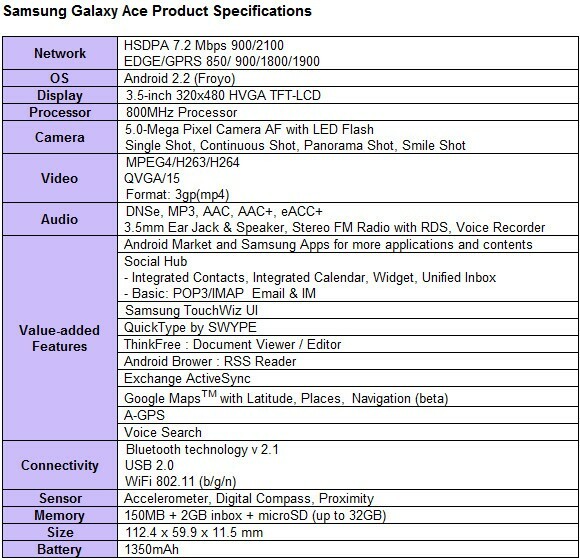 Pegged as mid-range devices, introduced are the Galaxy Ace, Fit, Gio, and the Mini. The new smartphones are extensions of Samsung's Galaxy line-up, each offering up something unique. The new quartet of Androids are set to release first in Russia, with planned releases to follow in India, Europe, and China. There currently are no plans for a US release. Pricing was not included in the announcement. You can check out the full spec break down for each of the new devices below, followed by the official press release from Samsung, and a gallery with a few more photos. 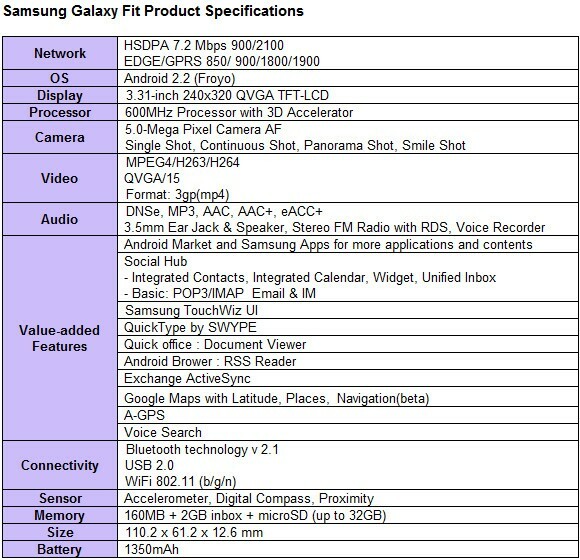 (SEOUL=Korea Newswire) January 26, 2011 -- Samsung Electronics Co., Ltd., a leading mobile phone provider, today announced the Samsung GALAXY family: the Samsung GALAXY Ace, the Samsung GALAXY Fit, the Samsung GALAXY Gio and the Samsung GALAXY mini. All offer a unique take on the smartphone experience, expanding the Androidâ„¢-powered Samsung GALAXY smartphone line-up to the broader consumer market. Following the phenomenal global success of the Samsung GALAXY S, the new Samsung GALAXY smartphones will meet the diverse demands of current and potential smartphone users. The Samsung GALAXY family shows that smartphones can cater to any lifestyle, with enhanced multimedia and application capabilities as well as a social hub keeping users in touch with friends and family. Each device in the Samsung GALAXY family has been created to meet unique needs and allow users to share the fun and excitement in their lives with friends and family. Users have access to limitless entertainment possibilities through over 100,000 applications from Android Marketâ„¢ and Samsung Apps, while quick communication is enabled via QuickType by SWYPE text input. The Samsung GALAXY family comes equipped with Wi-Fi connectivity and Social Hub which lets users view their contacts, SNS, IM and email together in an integrated one-page layout, keeping them constantly connected. JK Shin, President and Head of Samsung's Mobile Communications Business, said, "In creating the Samsung GALAXY smartphone line-up, we wanted to expand on the things that made the Samsung GALAXY S such a runaway success whilst diversifying our product range. Each device delivers something different, with the idea that each user is an individual and wants their mobile experience to be easy and fun. With these four Samsung GALAXY smartphones we help them share the joy they have in their lives and bring their experiences to their friends and family." The Samsung GALAXY family was inspired by the success of the original Samsung GALAXY S, which has sold an astonishing 10 million devices in just seven months. In designing this family of devices, Samsung has taken the award-winning Samsung GALAXY S and tailored it to meet the diverse and growing needs of consumers. The Samsung GALAXY family will be showcased at the Mobile World Congress from February 14th to 17th in Barcelona.